Aarti, ‘Om Jai Jagdish’ is sung in the praise of Lord Vishnu. This Aarti is one of the most popular aartis among each Hindu household and is sung during their daily evening worship. In Vaishnavism, Lord Vishnu is considered to take various incarnations as the protector whenever the world is threatened with evil and destructive forces. He has various names such as Jagdish, Narayana, Jagannatha, Vasudeva, Vithoba and Hari. 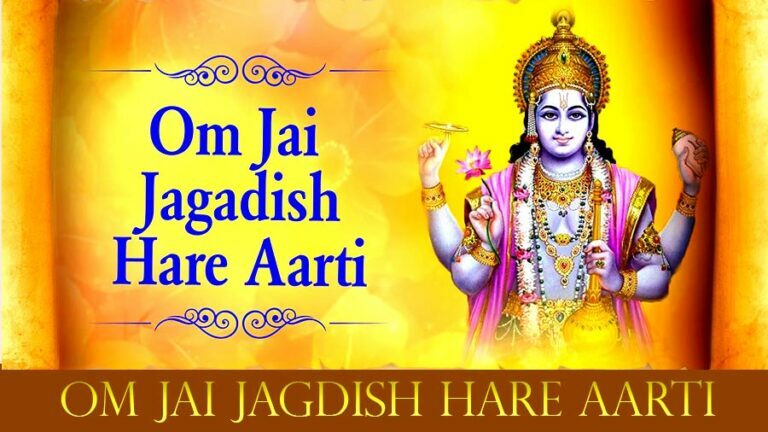 ‘Om Jai Jagdish Hare’ is aarti of Hindus for Lord Vishnu and is widely sung by all Hindus, regardless of their native language.